In 1980, Ken and Roberta Williams founded On-Line Systems. The company changed its name to Sierra On-Line in mid-1982. They later bought Dynamix. Their development section was spun off as Yosemite Entertainment and originally killed off in 1999, but it was later bought by Codemasters and is still in business. As a publishing house, Sierra is still very much in business, even though it has changed hands several times. It was originally privately owned under Ken Williams, then sold to Cendant, and is now owned by Havas Interactive. 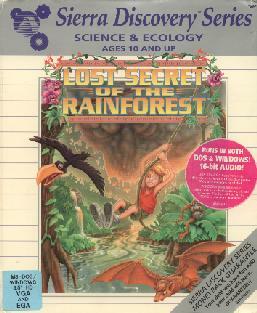 Their early games, up to Time Zone and Softporn Adventure, were made under the On-Line Systems name. All the adventure games that were originally marketed under On-line Systems came in small square folders in ziploc bags. They were rereleased as by SierraVenture in 1982 and had much more professional-looking folders (approximately 8" X 11"). 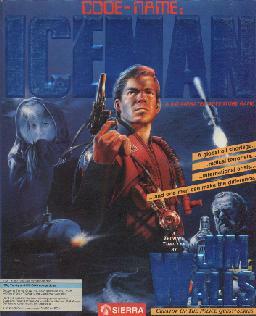 The action/arcade games were released under SierraVision for a while. 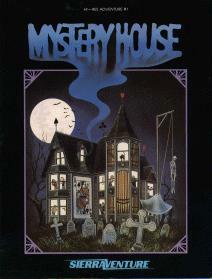 Some of the earlier games like Mystery House, Wizard and the Princess and Cranston Manor, have been released with more different cover art variations than you'd care to know. SierraVenture and SierraVision had an older Sierra On-line type logo employed on the back of the box, on the disk labels and the disk sleeves, and all of it was dumped around 1984, when Sierra employed a new Sierra logo, the more familiar one, and began packaging their games in grey boxes with plastic trays. In 1987, they began using the thin slipcover case. 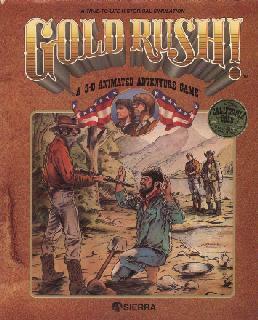 A standard two piece tan box with the Sierra mountain logo on it and a slipcover with the game's artwork. 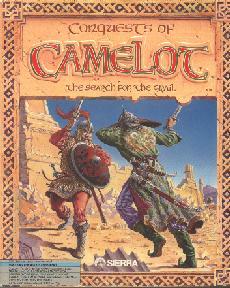 Around 1990 (after King's Quest V) the slipcover became double width to fit the games that had more disks, as Conquests of Camelot and Colonel's Bequest really packed it into the smaller boxes. The two-piece box itself was plain white. Nowadays (1998) they have a new logo and boxes nearly as big as their old ones (Time Zone, etc) used to be. 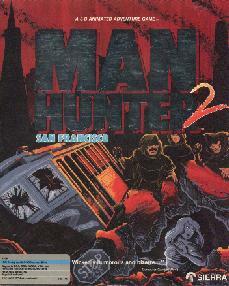 Hint books are available for at least some of their games. All the SierraVenture games were written using different frameworks. Starting with King's Quest, Sierra started using a common interpreter called AGI which made their games much more portable. Their "enhanced versions" and presumably later releases as well are written in a programming language called SCI (Sierra's Creative Interpreter). They are or have been distributed by All American Adventures and IBM. They distribute Dynamix and Coktel Vision. For more information, see Dynamix, Yosemite Entertainment and Codemasters. 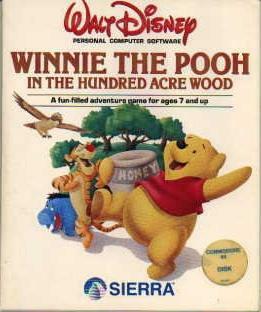 This series was published 1979-1982, and contained around ten games. The official numbering stopped after #6. Type: Drawn graphics Written 1980 (rereleased by SierraVenture in 1982) by Roberta Williams and Ken Williams. Notes: This was actually released after #1 and #2 but it was a tutorial adventure and as such it was given the low number. Comments: Prevent an asteroid from hitting Earth and destroying it. Type: Drawn graphics Written 1980 (written during 1979; rereleased by SierraVenture 1982) by Roberta Williams. Notes: This was released into the public domain at Sierra's 10th anniversary (around 1987-88 (?)). 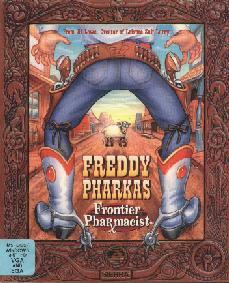 This might have been the first graphical adventure written. The graphics were actually black and white line drawings with stick figures for people but that didn't stop the game from being an instant success. 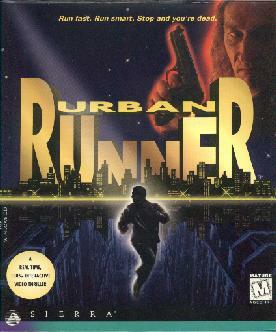 The game eventually sold 10,000 copies at $24.95 and established Sierra. Type: Graphics Written 1980 (rereleased by SierraVenture 1982) by Roberta Williams. 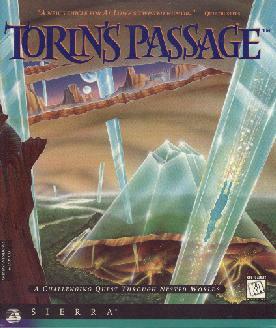 Notes: This is usually regarded as the first adventure game with color graphics. It was definitely Sierra's first. Ultima had color graphics around the same time, but that's an RPG. 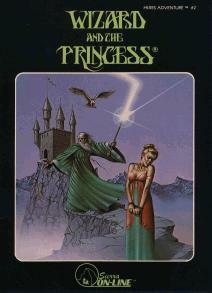 Serenia was later used as the town in King's Quest V.
It was released for the PC as Adventures in Serenia, copyright On-Line Systems 1980, IBM 1982. Comments: Wander around the land of Serenia in search of a princess imprisoned by an evil wizard. Type: Graphics Written 1981 by Harold DeWitz and Ken Williams. Comments: Search the mansion of a late millionaire for sixteen treasures. Type: Drawn graphics Written 1981 (rereleased by SierraVenture in 1982) by Bob Davis and Ken Williams. 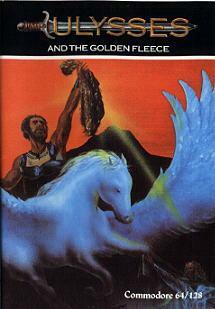 Comments: As Ulysses you must travel ancient Greece in search of the golden fleece. Type: Text only Written 1981 by Chuck Benton. Notes: This is the only text-only adventure that Sierra has released. It was released sometime during Ulysses and Time Zone, but did not carry a number and was not really considered a part of the hi-res series (though it was billed as such). It was marketed for less than a year although it later became a lot more popular when it was rereleased with graphics as Leisure Suit Larry. It's been released with two different folders, one in color and one in black and white. Type: Graphics Written 1982 (written 1981; probably rereleased by SierraVenture in 1982) by Roberta Williams. Notes: It originally retailed for $99.95 (which, unsurprisingly, hurt sales). 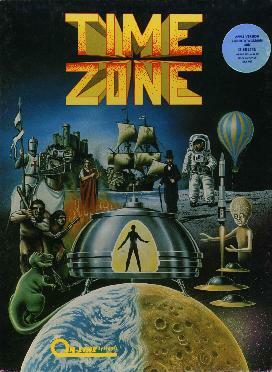 Time Zone came in an 8.5" X 11" box, including the a large manual with jacket holders for the 6 disks and a fold-out poster of the cover art with the slogan "Therein time... lies the answer." Six disks was very much at the time. Comments: From the opening lines of the game "A terrestrial guardian or keeper, of sorts, has chosen you for the task of securing the earth's future by destroying the evil ruler of the distant planet Neburon and offers you the ability of time and space travel in order to do so." On your way, you get to explore 7 continents-Europe, North America, South America, Asia, Australia, Antarctica, and Africa during 7 different time periods 400,000,000 BC, 10,000 BC, 50 BC, 1000 AD, 1400 AD, 1700 AD, 2082 AD, plus Neburon, 4082 AD. Type: Bitmap graphics Written 1982 by Roberta Williams. Notes: It is based on the Jim Henson animated movie of the same name, which it follows closely. This is the first of the numbered hi-res adventures to begin production under the then new SierraVenture line. It is also the last hi-res adventure to be numbered. 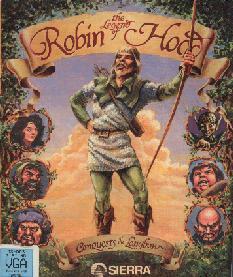 The Apple II version includes two disks, a large manual and a fold-out poster. 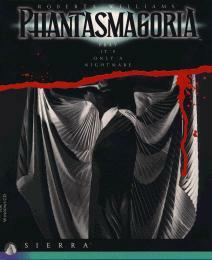 Both the manual and the poster feature the artwork that was used for the theatrical poster for the film. Comments: As Jen, the good Gelfling, find and restore the missing shard of the Great Crystal that will stop the evil Skeksis and their henchmen, the Garthim, from taking over the world. Jen finds help in the female Gelfling, Kira, and her pet ball of fluff, Fizzgig. Type: Bitmap graphics/Multiple choice Written 1984 by Al Lowe. 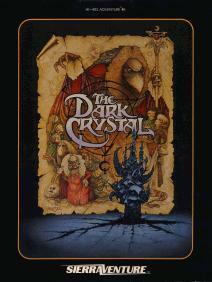 Notes: This was a simplified version of Dark Crystal intended for a younger audience. 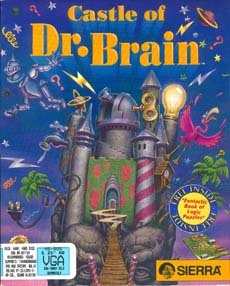 It featured the same graphics and storyline as the original, but the puzzles were all menu oriented. You'd get three choices and via the spacebar pick the one that you thought would advance the game. In 1985 it was marketed by Encyclopaedia Britannica in an abridged version including a student booklet and a teacher's manual. Both versions are on one 5 1/4" disk. 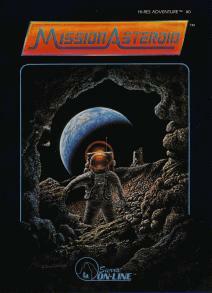 The Space Quest games chronicle the adventures of Roger Wilco. More information can be found in the The SpaceQuest FAQ. Meet Larry. He's just turned 40, and he's still single. If you can get past the glow of his Grecian formula, you can see his hairline beginning to make a hasty retreat from his forehead. Larry's leisure suit is of the highest quality (100% manmade material, permanent press too!). He wears at least 11 gold chains and his freshly-capped teeth could blind you in a bright light. Down at the singles bar he tells all the chicks, "Sure, I'm single... I got in a fight with my ol' lady and she threw me out." He doesn't tell them the "ol' lady" was his mom, or that he was 38 at the time. In the roaring 20's, seemingly mousey Laura Bow is a detective in the very best Jessica Fletcher sense of the term. That is, whenever she drops in on the party, people drop like flies. The first game is pretty tight, and rather logically reasoned, but the second is poorly executed and involves more guesswork than it does actual deductive skills. 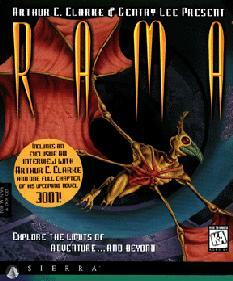 No further Laura Bow games are being planned, apparently, as Amon Ra was released 6 years ago (1998). Written 1984 by Roberta Williams. 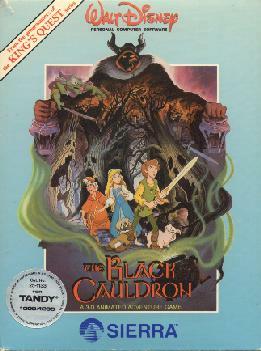 Notes: This was a joint project with Disney, before they worked on Black Cauldron. Intended for kids and doesn't belong in any series. The PC version comes on two 360KB 5 1/4" disks. Comments: Same format as Winnie the Pooh. Type: Moving character graphics/Multiple choice Written 1984, rereleased 1986 by Roberta Williams [design], Mark Crowe, Scott Murphy [programming] and Ken Williams [programming]. 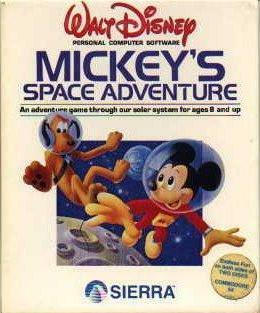 Notes: This game was aimed at kids and followed the Disney movie pretty closely. 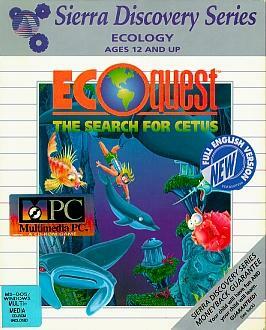 The original booting version copyrighted 84, 85 with CGA/PCjr/Tandy support. 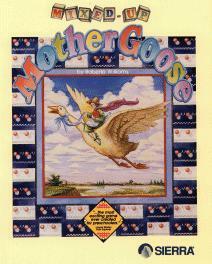 Re-released as DOS-based in at least two different versions, both copyright 86, 87 and supporting CGA/EGA/PCjr/Tandy. All versions feature enhanced sound for PCjr/Tandy, and the booting versions feature 16 colors on PCjr and Tandy. Type: Interactive graphics Written 1986. Comments: Similar to the very early Sierra games. Dark Crystal-like. How does that go together with Interactive Graphics? Notes: I don't know if this really is an adventure. 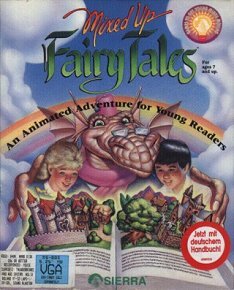 Comments: Mainly text-based interactive reading adventure for younger children. 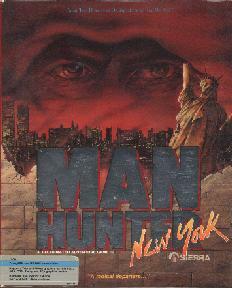 Written 1987, 90 by Roberta Williams. Notes: This is the same game as the above, but with improved graphics. The Amiga version was on two disks instead of one. Written 1988 by Doug MacNeill and Ken MacNeill. 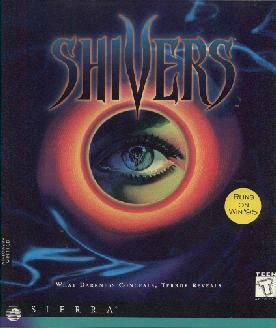 Notes: This was one of the last Sierra games to use the AGI interface. Comments: You play a man from New York who decides to go to California during the height of the gold rush. Middle portion of the game revolves around your transport to California via three methods (two by sea and one by land). Written 1988 by Dave Murry, Barry Murry and DeeDee Murry. 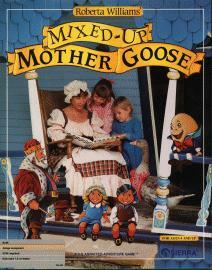 Written 1989 by Dave Murry, Barry Murry, DeeDee Murry and Barbara Ward. Type: Moving character graphics Written 1989 by Jim Walls. Comments: You have to take the role of a secret agent. 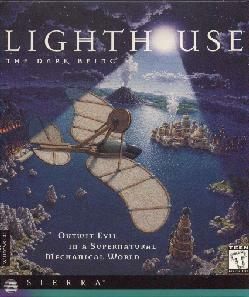 This game had a pretty good submarine simulation that was a bulk of the middle of the game. Type: Moving character graphics/Music Written 1989 by Christy Marx. Comments: A love affair between the famous knight Lancelot and King Arthurs wife, Gwenhyver, has set off a series of disastrous events that has put Britain into despair. And now, three of the Round Table's most renowned knights have vanished. 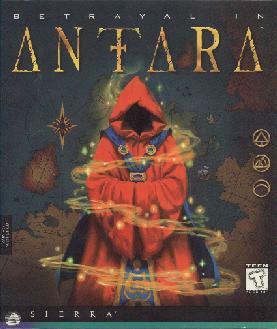 As Arthur, you must go on a long journey, taking you all the way to Arabia, to save the knights and find the Holy Grail. Notes: Mix between educational software and adventure. Notes: Mix between educational software and adventure. There is both a DOS and a Windows version of this. Written 1992 by Christy Marx. Written 1993 by Al Lowe and Josh Mandel. Notes: Apart from the game, the package contains a manual called "Modern Day Book of Health and Hygiene" and a registration form. Written 1995 by Al Lowe. Type: Video clips Written 1995. Notes: Mostly live action video. 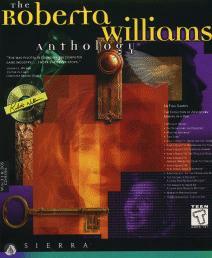 Written 1995 by Roberta Williams. Comments: You play a young female writer who has bought an old house, which (surprise) turns out to be haunted. Drama (and endless grainy video shots) ensues as your not-too-likeable boyfriend turns into a madman and tries to kill you. 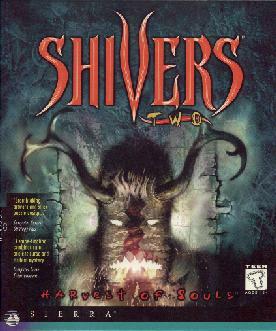 This game received a lot of attention prior to its release due to the fact that it contained an unprecedented amount of video sequences and came on a whopping 7 cd's. Supposedly it was four years in the making, but the effort was wasted. The story totally lacks originality, the acting gives a whole new meaning to the word "dreadful", and there's just nothing to do but to follow the very linear storyline. Apparently Roberta Williams was trying to get away from her cutesy King's Quest image, so the game has some quite gory sequences, which can be turned on and off. I seem to recall that Sierra put a self-induced age limit (15) on the game. 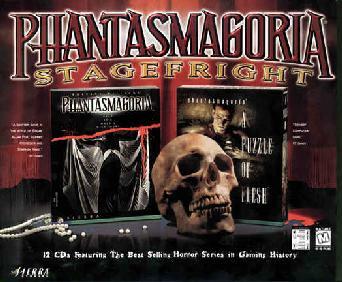 Notes: From the cover, it seems to contain both the Phantasmagoria games. Notes: This version was packaged with a copy of Arthur C. Clarke's novel "Rama II". Notes: Runs under SVGA in 256 colors. Comes on 2 CDs. Comments: You take the role of a wannabe rock star who has planned an encounter with your band in a small desert town. However, when you turn up in the town, everybody has vanished. Gathering clues from a number of your own rock videos, you slowly discover that an old Indian curse has made the town's inhabitants disappear. 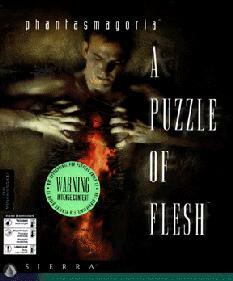 The game is very much in the vein of The 7th Guest, which means that you have to roam the city to gather information and solve logical puzzles along the way. The game is a definite improvement over both its predecessor and T7G, as the storyline is fairly non-linear, the interface is a delight to use, and the story and characters work quite well. Written 1997 by Peter Sarrett. Notes: Comes on two CDs. Notes: It containes Mystery House, The Wizard and the Princess, Mission: Asteroid, Time Zone, and Dark Crystal as Apple II images (Dark Crystal was added at the last minute and isn't listed among the other games). It also contained Kings Quest 1 (both the old and the new version), King's Quest 2-7, Laura Bow 1 and 2, Mixed Up Mother Goose (both versions) and the first chapter of Phantasmagoria (not the whole game). It also contains background information about Roberta Williams and King's Quest, a few videos (including a sneak preview of King's Quest VIII), and box covers and the KQ VIII art as jpg files. Comments: Pepper travels back in time to save history. A kid's adventure with historical figures like Benjamin Franklin.